Space telescopes; 007 martini chips; squeezing transistors. The James Webb Space Telescope, the follow-on mission to the Hubble Space Telescope, is a large, infrared-optimized space telescope. Slated for a launch date of 2018, Webb will find the first galaxies that were formed in the early Universe. Webb is a collaboration between NASA, the European Space Agency (ESA) and the Canadian Space Agency (CSA). Webb’s measurements will be conducted using several instruments, including the new Near-IR Spectrograph (NIRSpec). Developed by the ESA, NIRSpec is a new multi-object spectrograph (MOS), which uses programmable micro-shutter arrays, according to the SPIE Web site. A spectrograph separates light into a spectrum. The NIRSpec’s components will be sensitive to infrared light within the Milky Way galaxy. It will be capable of obtaining spectra of more than 100 objects in the cosmos simultaneously. NIRSpec has four arrays, which amounts to 250,000 micro-shutters. Each shutter is 180×80μm in size. Besides NIRSpec, Web will consist of three other instruments. One instrument, the NIRCam, will be Webb’s workhorse camera, which detect galaxies that are too faint for Hubble to find. Another instrument, MIRI, will be able to explore the widest range of infrared wavelengths. And finally, FGS/NIRISS is a high-speed camera that helps point and stabilize the telescope. Cornell University has found a new way to control electron spins. This is not using a magnetic field, but rather using a mechanical oscillator. All told, it is a demonstration of electron spin resonance that’s “shaken, not stirred,” said Gregory Fuchs, assistant professor of applied and engineering physics at Cornell, on the university’s Web site. The phrase “shaken, not stirred” is used by James Bond, the fictional British secret service agent. The phrase describes how Bond wanted his martini prepared. Meanwhile, scientists usually exert control over electron spins by applying magnetic fields. 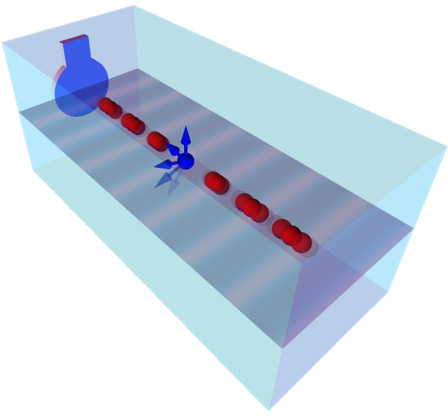 However, Cornell used an oscillator to “shake” a diamond lattice to directly flip the spins. Researchers demonstrated direct coupling between so-called phonons and diamond nitrogen-vacancy (NV) center spins. This was done by driving spin transitions with mechanically generated harmonic strain at room temperature. These spin-phonon interactions could offer a route to quantum spin control of magnetically forbidden transitions, according to researchers. The University of Twente has demonstrated that leakage current can be reduced by “squeezing” the transistor with a piezoelectric material. Using this approach, researchers claimed to have smashed the theoretical limit for leakage current. In operation, transistors are exposed to enormous pressures of up to 10,000 atmospheres, according to researchers. Transistors enable faster chips, but they are plagued by leakage current. If the silicon is squeezed, this affects movement of the electrons in a chip. But researchers discovered that the flow of electrons in silicon actually increases when the material is compressed. 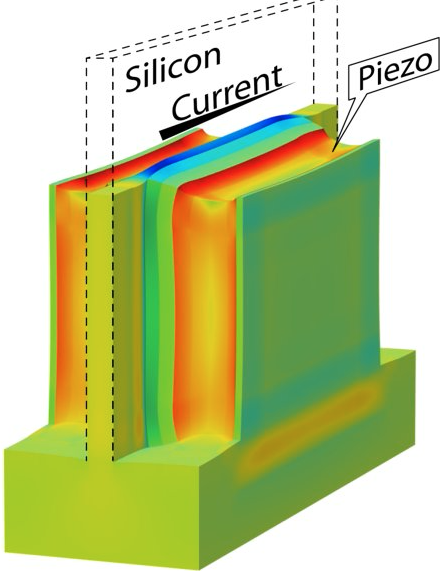 Researchers, in turn, made use of a piezoelectric material. The material is sandwiched within the transistor itself. “According to the classical theoretical limit, a charge of at least 60 millivolts is needed to make a transistor conduct ten times more electricity. The piezoelectric transistor uses just 50 millivolts,” according to researchers at the University of Twente. As a result, either the leakage current can be reduced, or more current can be carried in the on-state, according to researchers.